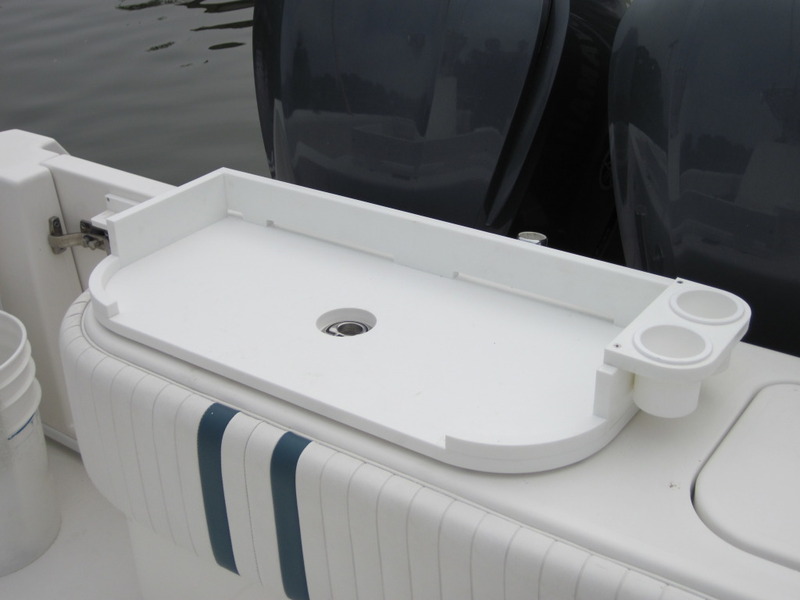 Splash guards can be made for any boat. 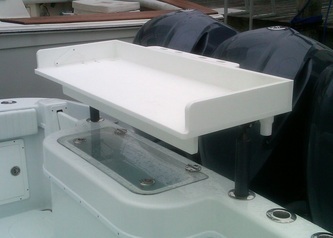 They stop the water from filling your engine well or ever running up on the deck. A must for boats with big engine cuts and low profiles. Hatches very often warp or brake of maybe you just need more storage space or access to enclosed areas. We can use standard replacement hatches or manufacture hatches to any size or configuration utilizing CNC industrial routers. Bilge hatches often warp or leak or have no way to access the bilge without removing the entire hatch. 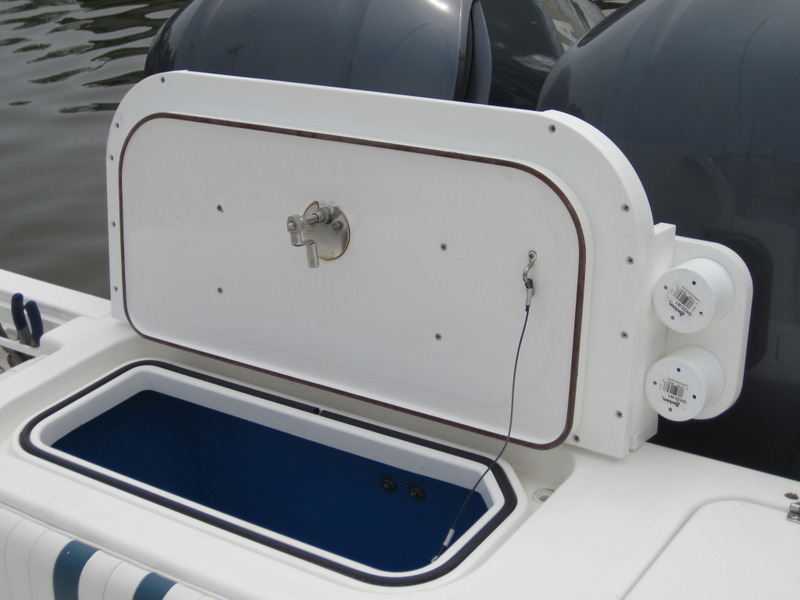 We can make a new hatch with inspection hatches for easy access. In this case the original rod holders were made of teak and were broken and in a difficult position to refinish. 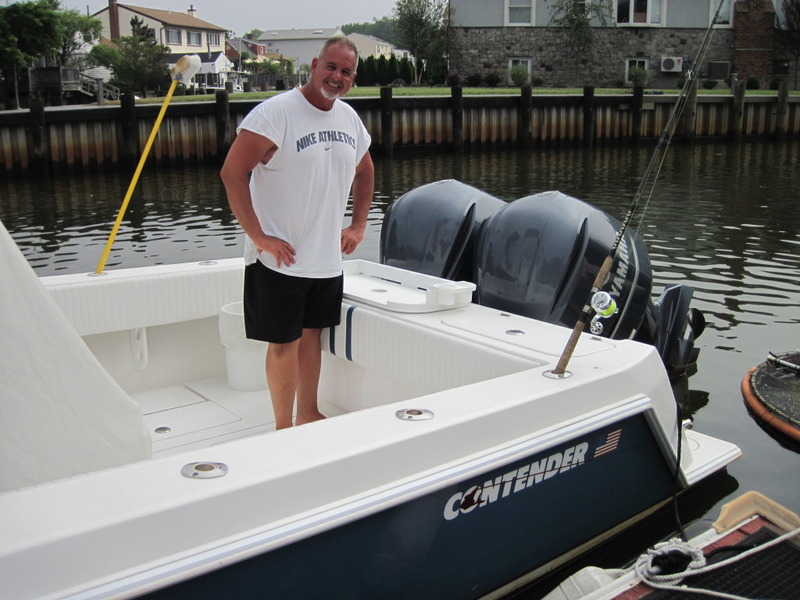 We manufactured a new set out of starboard. Transom doors often delaminate or become water soaked. Starboard replacements are a cost effective way to solve the problem. This owner wanted the damaged teak hatch replaced. We manufactured a spacer so that a new double locking hatch could be used in the original opening of the old hatch. This customer wanted a way to transport all his fishing rods to the boat keeping them safely stored and not bouncing around in the bed of his truck. We made this starboard rod rack and now he can transport all his equipment with no worry of damage. 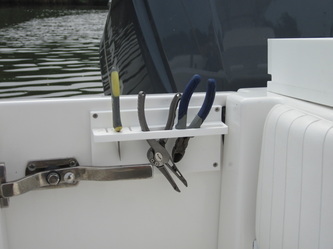 Utilizing a cable and lock the rods can also be secured to the truck to prevent theft.